My Training PPT which I used at Sathyabhama University, Chennai. The placement drive for around 50+ Students was a good experience for me too. However, I can’t help, but notice the Lack of Basics for our Engineering Students. Having worked with Engineering Students for the last 6 years(with IEEE), I have always seen and known this issue. Though we have a team(in IEEE which I’m also a part of) addressing this problem, we are far far from done. Probably we all need to put in more thoughts as how each of us can contribute to India’s Education System. How much ever I try, regular blogging has been tricky. This is yet another trial. I’m yet to pen down a lot of happenings in between (which I will do soon). I’m travelling to Chennai once again (2 weeks back, I was there for 2 days). 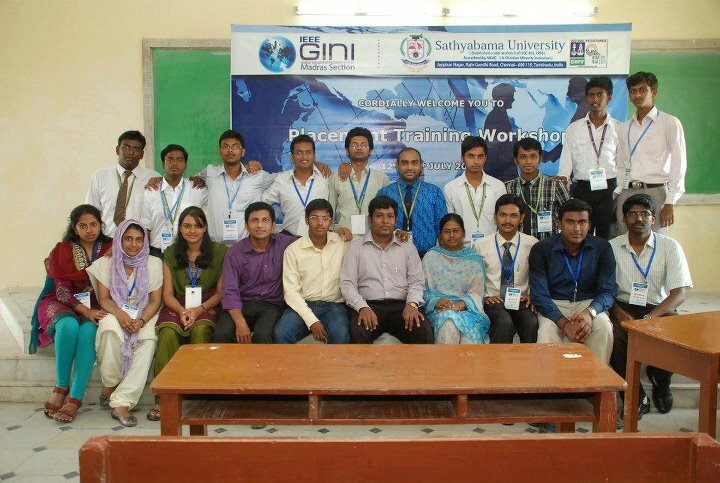 This time, it is to handle a 3 day placement training workshop at Sathyabhama University. The event is being organised by the Madras Student Activities Team (formely GINI MAS Team).As with any other IEEE event, I expect a mindblowing 3 days. After that, I will be going to be with my friends at MM Nagar. I heard that Raku (Rakesh -2010 CEC) is at Chennai this weekend. Hope to catch up with him as well.